Messaoud, Y., Bergeron, Y. and Leduc, A. (2007) Ecological factors explaining the location of the boundary betweenthe mixedwood and coniferous bioclimatic zones in the boreal biomeof eastern North America. Global Ecology and Biogeography, 16(1):90-102. Aim: Climate is often regarded as the primary control determiningthe location of an ecotone between two vegetation zones. However,other ecological factors may also be important, especially whenthe northern limit of the dominant species of a vegetation zoneextends further than the limit of the zone itself. This study aimedto identify the ecological variables explaining the transition betweentwo zones within the boreal biome in Quebec (eastern Canada): thesouthern mixedwood forests dominated by balsam fir (Abies balsamea)and white birch (Betula papyrifera), and the northern coniferousforests dominated by black spruce (Picea mariana). Location: Quebec(eastern Canada). Methods: Data from 5023 sampling plots from theecological inventory of the Que?bec Ministry of Natural Resourcesdistributed throughout the two bioclimatic zones were used in logisticregressions to determine the relationships between the presenceor absence of balsam fir stands and different abiotic and bioticvariables, at both stand and landscape scales. Results: The presenceof balsam fir stands was negatively related to the thick organichorizons, coarse xeric deposits and low positions on the slope,whereas stands were favoured by high elevations, steep slopes andmoderate drainage. These results defined the suitable conditionsfor the development of balsam fir stands. In the coniferous zonethese suitable conditions were less abundant. Furthermore, the saturationlevel of suitable sites was lower, as well as the incidence of balsamfir stands in unsuitable sites (overflow). Balsam fir stands weremostly located near lakes and rivers. All significant variablesat both the stand and landscape scales explained between 34 and42% of the location of the potential northern distribution limitof the mixedwood zone. 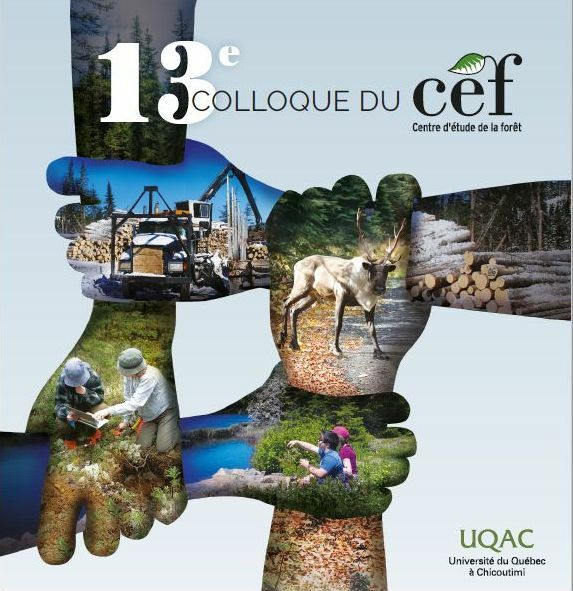 Main conclusions: Our results suggest theimportant role of historical factors related to post-glacial vegetationand past disturbances in determining the relative abundance of balsamfir in both zones of the boreal biome. © 2006 The AuthorsJournalcompilation © 2006 Blackwell Publishing Ltd.